The Church is in crisis. I do not mean that she is at a breaking point, as though she were about to collapse under the intense weight of sin; but, rather, I mean that She is in crisis because she has reached a critical point in Her life, if we want to use such terms. A great scar has blemished the face of the impeccable Bride of Christ, and this scar is the sexual abuse that has recently been revealed to have been taken place at the hands of Her ministers. Now, this has rightly merited a response from the faithful, as such a horrendous crime cannot be ignored; however, how we respond is of the utmost importance. As it stands, people have responded in one of three ways. The first way is to remain ignorant and avoid the issue altogether, hoping that it will be lost in the passion of history. However, as we have already said, a sin of this caliber not only necessitates a response on the part of the faithful, but demands one. The second option is to walk away, to abandon the Church in this hour of darkness and turn towards “greener pastures”, as it were. The third option is to stay and fight for Holy Mother Church, to cleanse the abscess of sin that has formed in Her beautiful countenance, to pray for reform and mercy for those that are in Her leadership and to pray for healing for those who were victimized and abused. Hopefully, I pray, it is obvious which stance I take; for there can only be one right, just, and proper response to this grotesque defilement: we must stay and fight. Why stay and fight? Because there is no salvation outside of the Church. Or, in other words, there is no salvation separate from Christ. Now, the question arises, why can I not leave the Church and still remain Christian too. After all, there are numerous sects of Christianity (More than 40,000 established denominations alone) that I could join and still love Christ. But, I must maintain that it is impossible to leave the Church and still love Christ, and here’s why. Imagine for a moment that a couple has been married for a number of years, and each professed to love each other more than anything, after all they made this vow to one another on their wedding day. Now, imagine that one day the wife came to the husband and said, “You know that I love you, but I really don’t feel like living with you anymore, so I’m going to go and live with a friend. Oh, but don’t worry, I still love you and I’ll still be thinking about you, but I just can’t actually be with you anymore because the house is a mess and the kids are kinda rotten; but don’t worry, I still love you.” Can you imagine anyone doing this? The sad reality is that people do this all the time, but is this love? The answer is unequivocally no. If you love someone, you do not abandon them, rather you suffer with them. This is, after all, the root of the word compatibility (from the Latin compati which means “to suffer with”). I think that it is important to always keep in mind that the Church is not holy because Her members are holy, but because Her true head, Jesus Christ, is holy; and if we do abandon the Bride of Christ because of sins of men, as grave and heinous as they might be, it is only because our love was not rooted in Christ. Brother’s and Sisters, I must implore you to remain strong in your faith and to pray for our priests and Bishops, especially those who are guilty of these crimes. Pray that those who are innocent will continue to grow in all virtue and holiness, that they may be given the grace to truly imitate Christ and love their Bride as “Christ loved the church and gave himself up for her, that he might sanctify her, having cleansed her by the washing of water with the word, that he might present the church to himself in splendor, without spot or wrinkle or any such thing, that she might be holy and without blemish” (Eph. 5:25-27). Pray that those who are guilty will be led by the Spirit to repentance and contrition, so that they may experience the love and mercy of Christ on the Cross and may merit, by the grace of God, the rewards of eternal life. Pray that those who were victimized and abused will receive healing and peace in this time of great distress, that they too may grow in all virtue and holiness, imitation Christ even to the point to cry out, “Father, forgive them, they know not what they do” (Lk. 23:24). 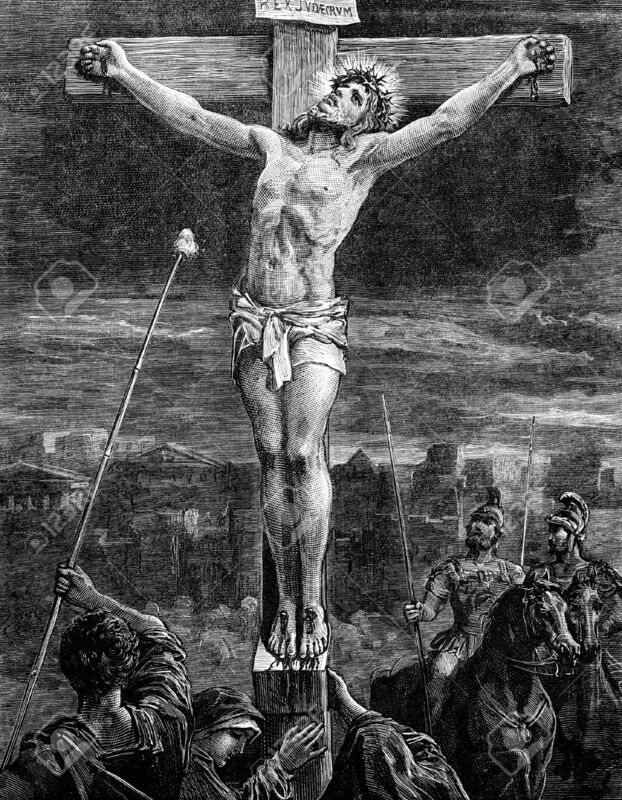 One last closing thought: It is Catholic belief that Christ took on the sins of mankind and that He knew them; and yet despite knowing the horrible acts that all mankind had committed, were committing, and would commit, He still gave Himself up on the Cross, enduring intense suffering and torture for our sake. The crimes of those who committed the grave acts of sexual abuse are horrendous and inexcusable and they will be held accountable for them before God, there is not denying that. Christ knew them at His death and He still went through with it out of love for us, His Bride. With all of this in mind, I earnestly beg you to remain with Christ, to fight for His Bride, Holy Mother Church, and to defend Her integrity by praying for Her sinful members and by doing what you can to clean out the sin and disfigurement that has crept into Her Body. Stay strong my friends, and may God bless you. Previous Article Should Pope Francis Resign?